The new season of English Premier League football kicked off this weekend, which was great news for those football fans who have starved of their passion for the past couple of months. But for many of those trying to watch coverage of games through IPTV providers, it proved to be something of a false dawn and many quickly discovered that the Premier League had stayed true to its word on blocking illegal streams of its matches. As we have reported previously, the Premier League has won a High Court order which allows them to demand that British ISPs such as Virgin Media, TalkTalk, PlusNet, BT, and Sky, block the IP Addresses of any site which is streaming live streams of Premier League matches. They won a similar order for the last three months of last season and the Premier League claimed to have blocked around 5,000 IP Addresses. IPTV users nevertheless questioned the effectiveness of this process as many were still able to access games. But it seems that for the new season, the Premier League are going to ever greater lengths. It is reported that many of the biggest and most used IPTV providers experienced problems within a few minutes of the Premier League games kicking off last weekend. There were multiple reports of screens going black across several services and it quickly became apparent that, despite the fact that action was expected, few had made backup plans to cope with it. One provider apparently scrambled to put a new domain online, apparently assuming that their original domain was now on some sort of blacklist. Even if this is the case, switching domains in this way is only ever going to be a temporary fix. And in fact, from the user feedback received, this action caused them as many problems with users as the original blockage, with many not knowing where the site had gone. While many IPTV users are football fans, plenty more are not, so there was much frustration that the block apparently had a knock-on effect for those users who were not even watching matches. TorrentFreak reports that at least three IPTV providers were unable to provide their users with any channels at all, which suggests that all their content comes through the same server. 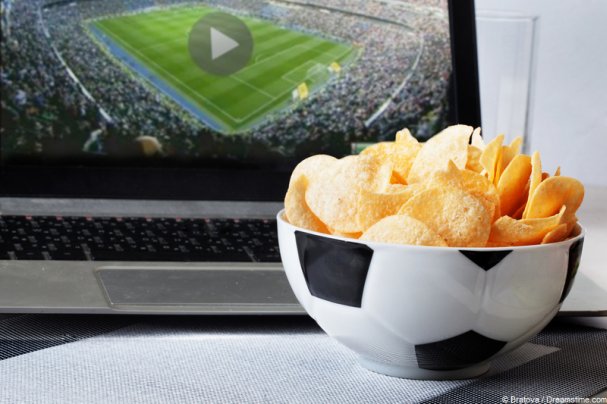 It is fair to say that for football fans watching IPTV streams of matches, this weekend was fairly chaotic and many were unable to watch the games they had planned to. How do IPTV providers fight back? So, if the Premier League is stepping up its efforts, how are IPTV providers likely to fight back? After just one week, it is hard to reach too many conclusions, but it was clear that whilst some IPTV providers struggled, others continued without interruption. Whether this is because the Premier League had not targeted them yet, or whether they had found a solution is not currently clear. Certainly, there are a few which claim to have overcome the Premier League’s efforts to block them, although how they have done this is not yet clear. It was also reported by TorrentFreak that a couple of IPTV providers suffered DDoS attacks around the time that games were being broadcast. This could have been part of the Premier League’s actions (although it seems unlikely they would stoop to such levels) or may even have been an attack from a rival provider. However, most IPTV providers, who have been unable to get around the Premier League efforts to block them, are now recommending that users will need to use a VPN to access their service. A VPN will work because the Premier League’s Court Order only allows them to make demands of UK ISPS. Access to IPTV providers, therefore, remains unaffected to overseas users. Because a VPN can fool servers into thinking you are overseas and encrypt your online data so your ISP can’t see what you are doing online, they will be effective in most cases. But most people turn to IPTV streams to save money on expensive TV sports packages and effective VPNs do require a small monthly subscription. This cost may put off some users, which means that the onus still remains firmly on those IPTV services affected to find a solution. Meanwhile, the Premier League will no doubt continue working hard to block more IPTV providers in the weeks and months ahead.